Convenient–It’s Always Five O’Clock Somewhere! Our large amount of instructors allow us to come to you! Get taught in your neighborhood at any time! Server Certifications to Get You the Job! 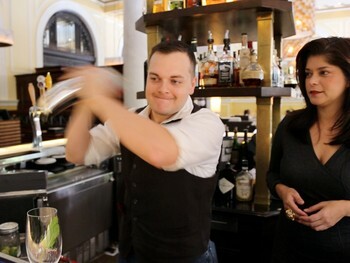 You will understand all of the fundamentals of bartending fast in one-week of class. We will teach you the principles of bartending like tips, wines, liquors, beers, and over 200 mixed drinks. This is an all-inclusive series on everything from beginner bartending to more complex bartending. All equipment and learning materials will be provided. This includes a workbook, bartending tools, and drinks. Get Started in Your PJs. Seriously. We can come to your home or teach at one of our multiple locations. The exact location depends on which day and time you choose and what level of instruction you need. Bartending School was organized to help teach people of all levels. Our Bartending School are passionate about our desire to teach customized, private lessons to all ages and abilities throughout America. We can help you earn lots of money being a bartender! We have courses as low as $47.50 (hourly, in-home), $229 (bartending basics) and up per student! Who is Local Bartending School? 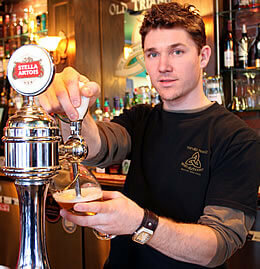 LBS is a bartending school providing certification throughout all provinces online and in-person. We have talented, certified teachers and an online platform for remote learning.